I know very little about my own personal heritage other than the fact that I was adopted into a family whose ethnic background was predominantly German and Hungarian. But whenever my mother became aware of some reprimand by Sister Mary Elizabeth so-and-so for talking too much in class during my elementary school years, or when I would spark a theological or political conversation around the dinner table during my outspoken journey through adolescence, she would blame what was often referred to as my “Irish gift of the gab” for my apparent propensity for limitless discourse. Whether or not I would consider it a gift is a matter of how much one enjoys the taste of ones own foot from time to time. But an aptitude for engaging others in what I hope have been worthwhile conversations has been both a source of personal insights, and a path to a number of rewarding friendships. 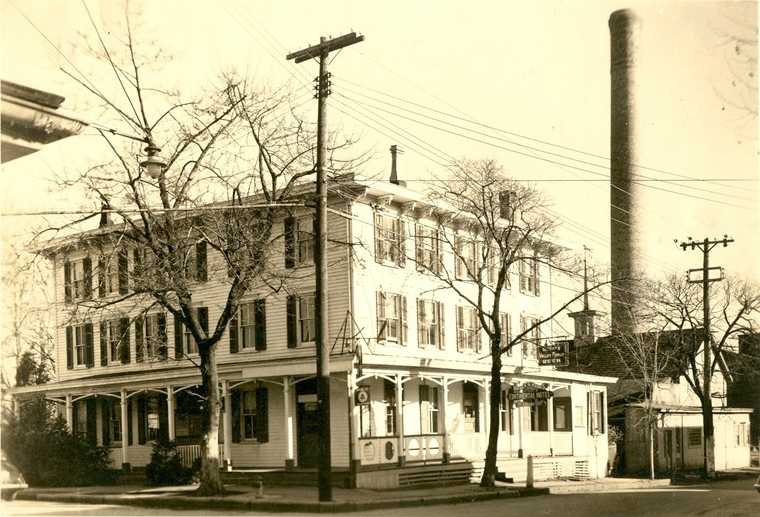 One such person who I now count among that much appreciated and valued list of individuals is Frank Lyons, the proprietor of The Continental Tavern in Yardley, Pennsylvania. Now as to the popular view that those of the Irish tradition are more prone to exercise the human capability of language with any more regularity or proficiency than any other ethnicity is mainly a matter of opinion which has on some occasions been backed up with a fair amount of empirical evidence. Frank’s father’s side of the family emigrated to New York form the Cork area of Ireland to escape the hardships of the potato famine during the 1860s. His mother’s relations, the Laheys and Corbetts, made the Atlantic crossing during the same period, but settled further north in Newfoundland. During his senior year at Iona College, Frank was the president of the Gaelic Society. This association allowed him to hone his social, singing and communication skills at several functions and Irish taverns in and around New York City. While I can not attest to Frank’s ability to hold a tune, I can attest to his ability to hold a conversation. Here is another Son of Erin that has truly perfected that profound gift of the gab—and as a publican that blessing serves him and his customers very well. My own tavern experience on both sides of the bar has been overly laden with thousands of hours listening to the mostly idle chatter and complaints of my fellowmen. So while I am attracted to the welcoming environs of a good public house, I normally find myself longing for a conversation of some substance, or at least a quiet contemplative corner from which to absorb life and libations. I am pleased to report that the Continental provides for both needs quite nicely. Old post card portraying the Continental. Beginning in 2007, this handsome tavern and restaurant went through a major historical renovation. During that construction a long forgotten hidden chamber was discovered below the kitchen. Thousands of artifacts were unearthed, including countless prohibition era bottles, and a mysterious enigmatic rusted revolver that may have been used in a murder on premise. Also, a tunnel that dated back to the previous onsite building, which was destroyed by fire in 1876, was revealed in the course of the excavation. Local historians believe the stone structure sheltered and provided a route of passage for those escaping the bonds of Antebellum slavery. The careful reconstruction that was conducted at this location not only renewed the spirit of the property, but by some reputable accounts it may have also released the spirits still residing at the property. And like any unique public setting, the surroundings do play their part in defining and enhancing ones experience. But when it comes to the quality of communication at the Continental much of that credit goes directly to Mr. Lyons. Frank Lyons in his role as Colonel John Glover. When I first became aware of these goings-on I was immediately reminded of Benjamin Franklin’s Junto, that informal weekly tavern gathering of civic minded freethinkers that would not only improve the way of life of those who lived in colonial Philadelphia, but would also give rise to the American Philosophical Society. This would come as little surprise upon learning about Frank’s love of American history and his dedicated work as a Revolutionary War Reenactor. Like me, he believes that in order to better understand our present circumstance and to realize our future potential we must have an informed and rational understanding of the past. And that the preservation of our freedom and democracy is dependent upon an honest exchange of our perspectives and points of view. And while that gift of the gab does not always bring about a better tomorrow in America, it does go a long way in ensuring a much better evening at the Continental Tavern.